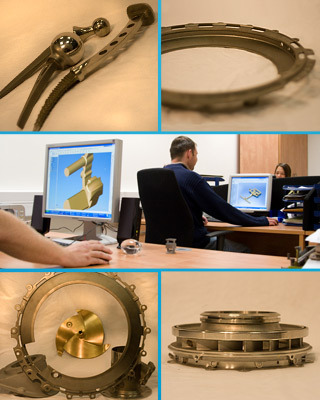 YPC offers a collaborative service from initial design through to delivery of the fully-finished component. By carefully managing in-house and external operations as required, we offer a total supply option to meet the most demanding manufacturing and design standards of our customers. A leading supplier of high quality air and vacuum investment castings for demanding and diversified engineering components from design to delivery: on-time & in full ( OTIF ). Experienced suppliers for the civil and military aero engine market in both fixed wing and helicopter applications. Industrial Gas Turbines (IGT) & Land-based Power Generation. YPC’s manufacturing expertise includes a wide range of castings in this industry, from heat shields and lock plates to vaporisers. 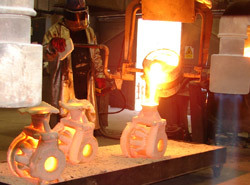 Our investment casting process lends itself well to the production of intricate shapes which complement the design of small arms and similar complicated mechanisms. We supply a wide range of components for deep-water drilling, refinery and sensor applications. Medical implants and a variety of tools and instruments for surgical use. Freedom of design, high quality, choice of materials, offers many advantages to this particular industry. Capability and high quality which complements the designs and stringent standards of the safety and integral locking equipment industry. Near net shape with close dimensional tolerances. Wide choice of alloys, both ferrous and non-ferrous. Minimal machining required to produce a finished component. Large or small order quantities can be processed economically. Design through to finished assembly, with a process which is capable of producing virtually any geometrical shape, Yeovil Precision Castings supports concurrent engineering with SolidWorks CAD modelling. Our engineers will work with the customer to optimise designs and maximise process capability at the start of new projects, in order to achieve the most competitive pricing and the best quality standards. We offer a full engineering solution for existing and new designs. Typical casting weights range from a few grammes up to 18 kilograms and up to 16 inches in diameter (400mm) melting up to 250kg, yet our typical mould weights are 30kg. On site capabilities include NADCAP approved FPI, X-ray facilities and a fully equipped laboratory.